To commemorate the 86th Air Force Day Celebrations-2018, a Trans Himalayan MTB (Mountain Terrain Bike) Expedition from Daulat Beg Oldie (DBO), the highest airfield of Indian Air Force (IAF) in North, is being conducted by Indian Air Force. The Indian Himalayan Region (IHR) is the section of the Himalayan within India, spanning the states of Jammu & Kashmir, Himachal Pradesh, Uttarakhand, Sikkim and Arunachal Pradesh into Myanmar and China. The expedition is likely to culminate between October 6 to 8 next at Kibithu International bordering China in Arunachal Pradesh, covering approximately 4,500 km. A 20-member team, led by Wing Commander S Sarathchandra reached Air Force Station at Tezpur on Monday evening to scale the new heights and create awareness among masses. 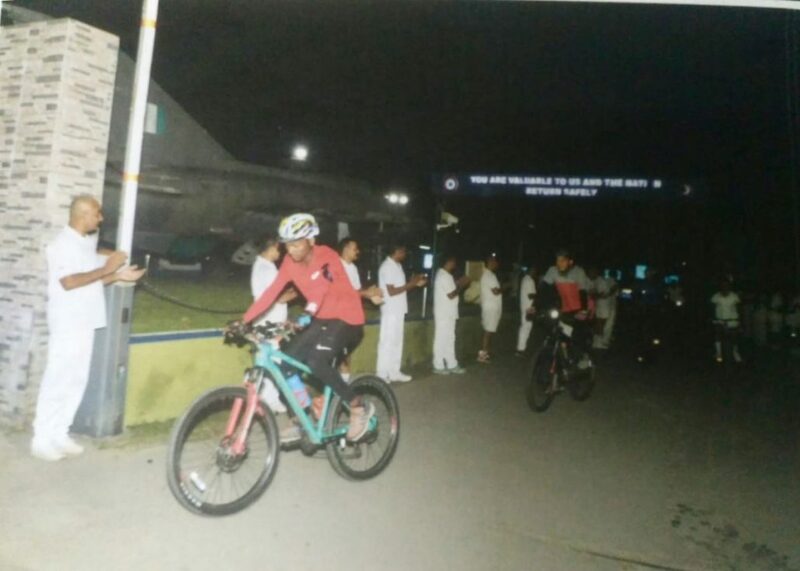 On Monday, the team was flagged-off by Air Commodore MK Gupta, Air Officer Commanding, Air Force Station Tezpur.